Front-Door-Lock Operating from Moreton on the Wirral, North West Emergency Locksmith Wirral provides a 24-hour, year-round service to the public and private sector throughout the North West of England. Our highly-trained emergency locksmiths have been saving the day all over the North West for more than a decade. Our extremely effective, non-destructive entry methods keep your costs down by preventing any unnecessary damage to your personal property. Our highly-skilled emergency locksmith Wirral has success with these techniques on 97% of all call-outs. North West Emergency Locksmiths are qualified Master Locksmiths with certifications, including the CRB certification. Our engineers are friendly and professional, and always up-to-date with the latest locksmithing trends & standards. • Lock Repair & Replacement. • Safes Opened & Repaired. 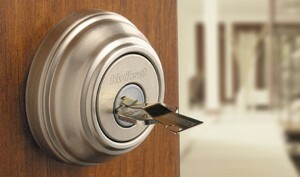 • Garage Door Locks & Gate Locks. So, if you require the services of an emergency locksmith Wirral, a true professional with stacks of experience, a fantastic industry reputation, a locksmith offering low prices, dedicated service and a true 24 hour emergency service contact North West Emergency locksmith Wirral today. Never beaten on price, never beaten on service. Contact us today.